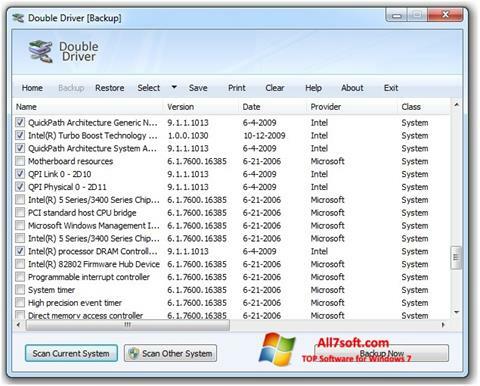 Double Driver for Windows 7 - a functional utility for working with system drivers. The application can scan the files and services of the OS, it is able to generate a list of the components used and display the software versions, the manufacturer's name and the date of the last update. The utility contains tools for sorting drivers, allows you to save them in a specified location, includes the ability to generate a text report. The program has an intuitive user interface, supports hot key combinations, will be able to save changes automatically and download the latest versions in batch mode. You can free download Double Driver official latest version for Windows 7 in English.